A healthy, well-rounded diet containing a variety of foods boosts sexual performance best. Follow the recommendations of the United States Department of Agriculture released in April, 2005. Calories: Calories count. You’ll gain weight if you take in more calories than you burn (metabolize) through exercise and metabolism. You may also get an individualized diet plan and personal food pyramid by going on the government’s new food pyramid website: www.mypyramid.gov. The site will give you diet recommendations based on your gender, age and physical activity level. The new pyramid makes specific recommendations for intake of grains, vegetables, fruits, milk, meat and beans as well as exercise recommendations for promoting health and promoting and sustaining weight loss. These dietary recommendations are excellent for peak sexual health. Grains: try to emphasize whole grain foods, such as whole grain cereals, breads, rice and pasta. Vegetables: eat a variety of vegetables, emphasizing dark green vegetables such as asparagus, broccoli, spinach and kale. Other important vegetables include cabbage, sweet potatoes, peas and beans such as garbanzo beans, cannelloni beans, pinto beans, kidney beans and lentils. Fruits: eat a variety of fresh fruits. Don’t over-consume fruits juices. Dairy products: choose fat-free dairy products, such as skim milk and nonfat yogurt. Meat and beans: choose low-fat or lean meats, poultry and fish. These foods are essential for maintaining normal testosterone levels. Bake, broil, or grill meats and avoid frying. Vary the protein sources in your diet. Include fish, beans, peas, nuts and seeds. 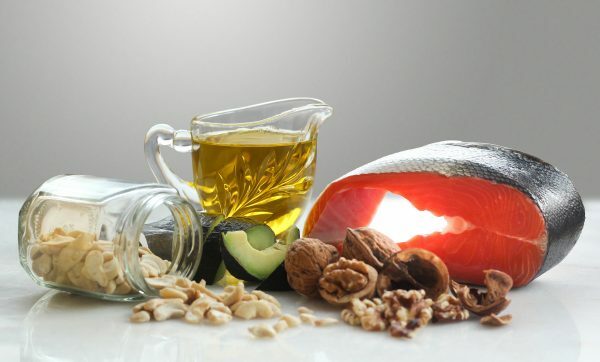 Fats: get most of your fats from fish, nuts and virgin olive oils. Limit your intake of butter, stick margarine, shortening and lard. Minimize your intake of saturated and trans fats. Are Laptop Computers Making Men Infertile?